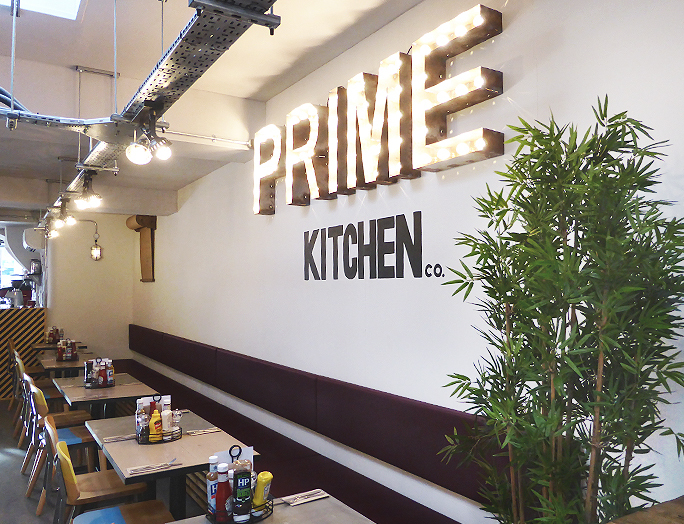 Prime Kitchen Co wanted to create a diverse eating experience, a space that echoed the personality of the brand along with the sophistication of the menu on offer. Services – Interior Design, Restaurant Design, Bar Design, Furniture Specification, Lighting Design, Exterior Signage, Window Treatment. 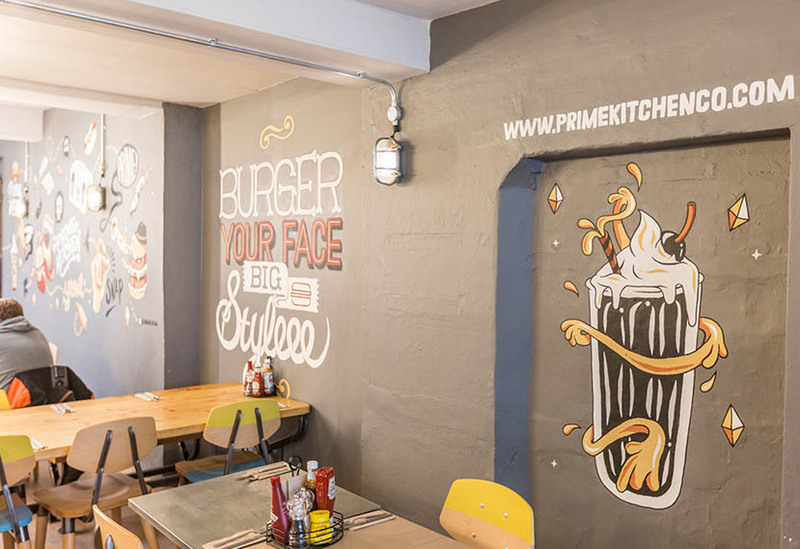 Although a new face in the restaurant industry, Prime Kitchen Co have started as they mean to go on with a dining experience that rivals the more established eateries around. 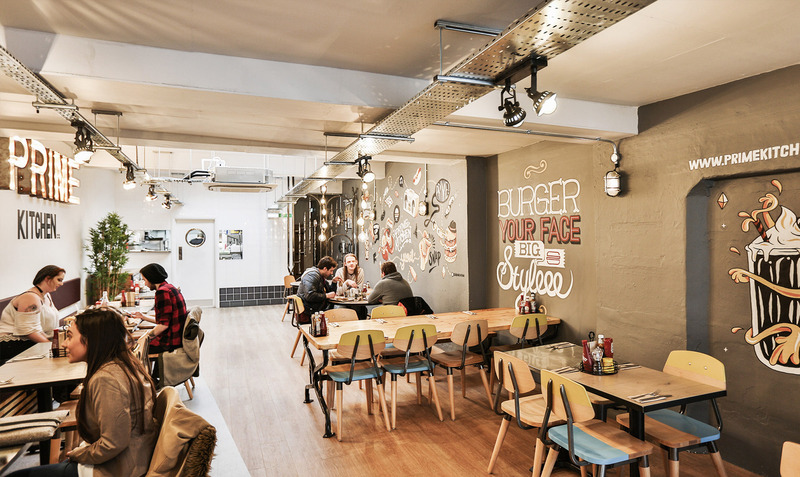 With their roots firmly in American Fine Dining, the brand has a strong connection with the social aspect of dining and we were sure to create the right atmosphere. 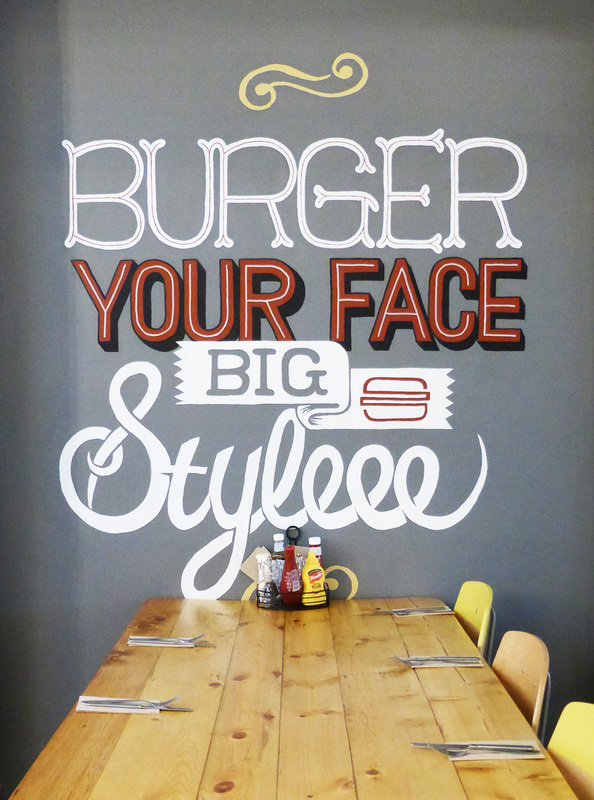 Acknowledging the youthful audience of passing footfall, the space has been personalised with a hand drawn wall mural by illustrator Benny Singleton and designed to tell the story of the menu with recognisable language and iconography including the brand tag line of ‘Burger your face big styleee’ and various food illustrations. 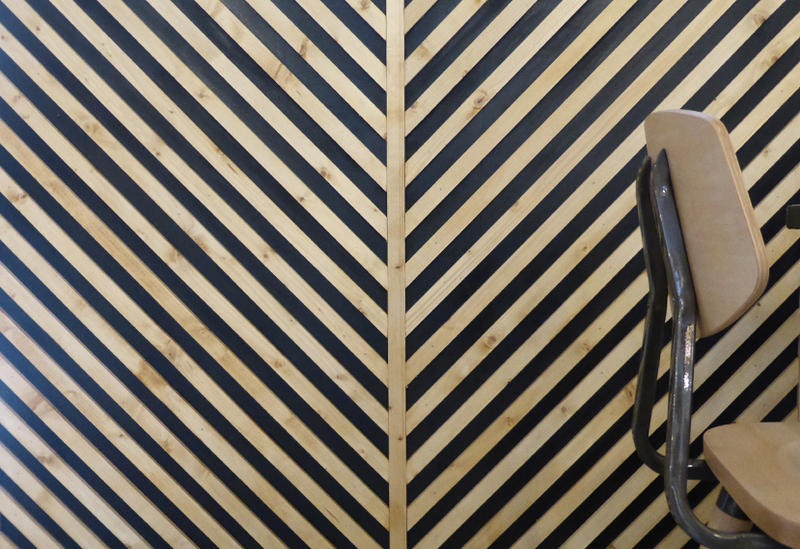 Previously a carpet showroom, the space was stripped back to it’s original walls and ceilings, exposing an interesting canvas for the wall mural and lighting. 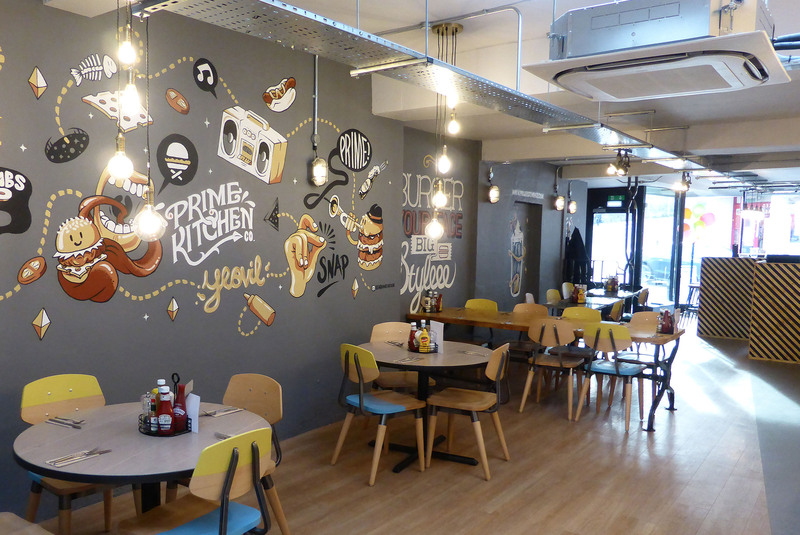 A paired back colour palette of greys and whites makes room for a pop of colour in the furniture and the illuminated Prime sign which is visible from the street.